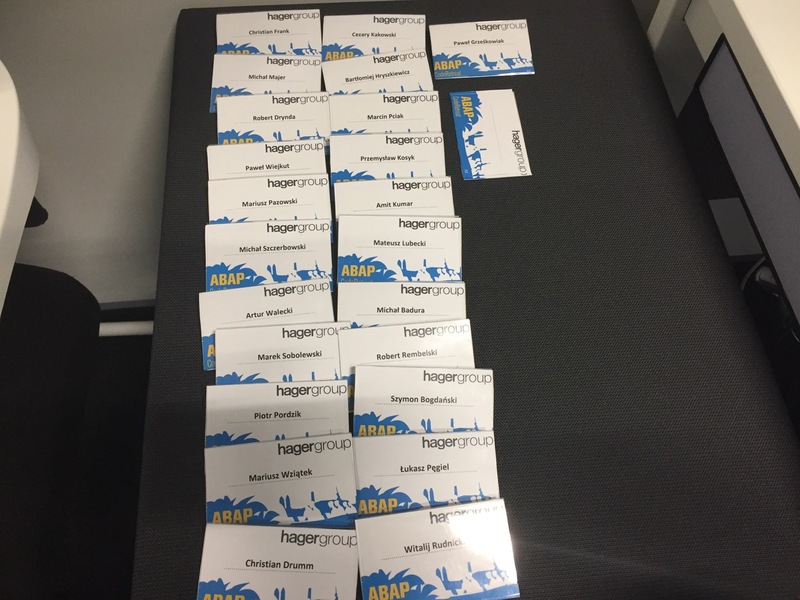 Thanks to Hager Group, Christian and Damir I was able to organize the first ACR in Poland, which was a test for me, to see if I can handle to do it. 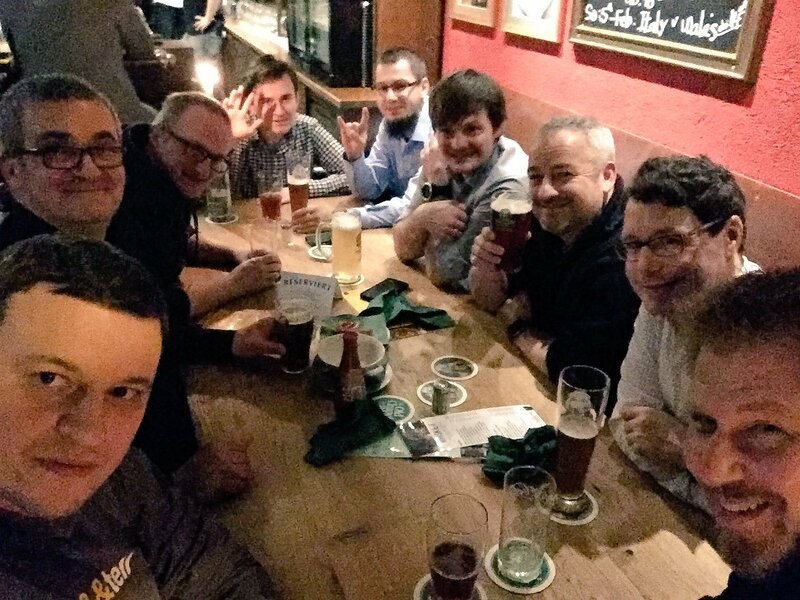 The idea to have ACR in Poland came from Christian at 11th January 2017 in Karlsruhe, where we meet together in one of the Irish pubs just before SAP d-kom started for Developer Heroes. I said why not? Let’s try it. So after I’ve come back to Tychy, I was thinking how to start with organizing it. 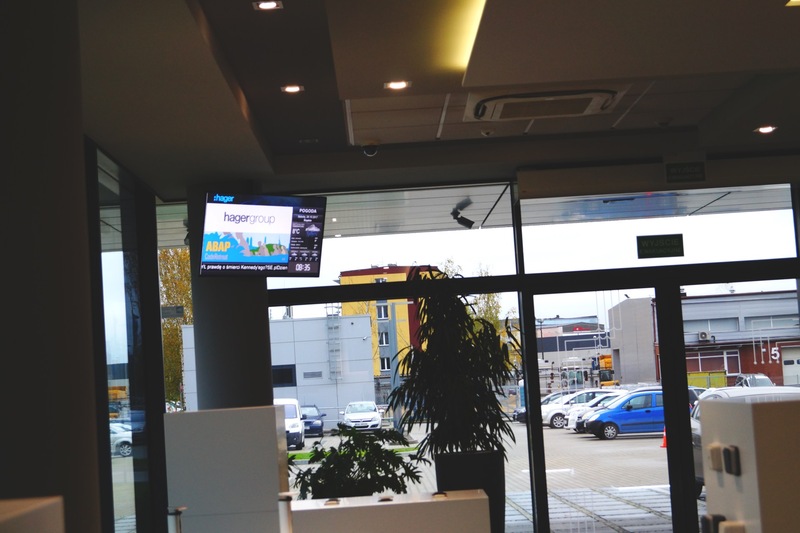 First of all I had to gain an permission from local and Group managers to organize it in the buildings of Hager, which was really easy. Then we had to setup the date together with Christian and Damir. Once it was done, we’ve create wiki site for the event and we’ve opened the registration, which happened on 19th of May. Two weeks before the event I had to finalize lunch menu, help from our receptionists, the security and the gifts! With lunch, drinks and snacks it was quite easy, as usually pizzas & salads fits to all persons, especially if you choose more than one kind of it. Sandwiches and fruits were of course also present, together with very important soft drinks like tea or coffee. Here I was bit surprised, as normally at any community event that I participated, the most used drink was coffee (at least it looked like this for me), but as we had only two participants from outside of Poland, then tea was consumed mostly. After choosing the gifts, the only thing left was to prepare participant lists and badges. After preparing the gifts and finalizing agenda with Christian, we were ready to start the event. 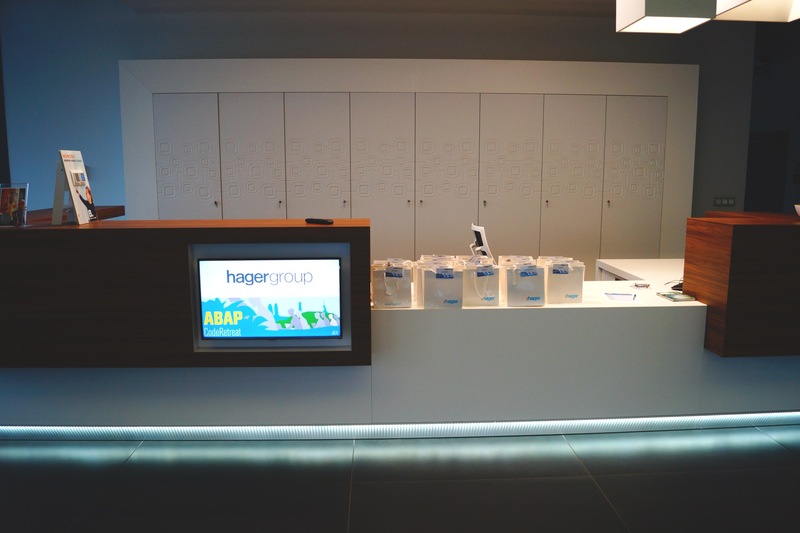 Participants started to come to ACR just after we’ve appeared in Hager. At the end 16 from 24 persons that registered were present. It’s a pity that not all persons appeared but I can also understand that this is life, many unexpected things happening making us change our plans. 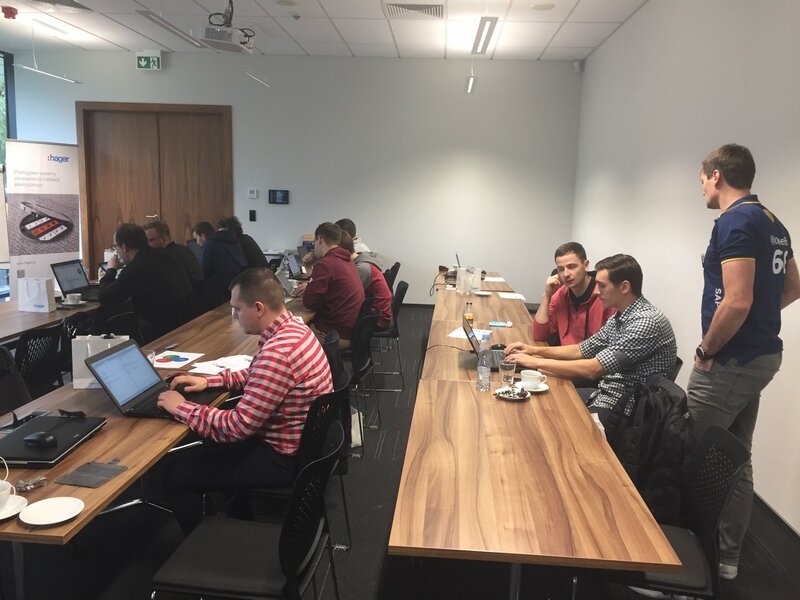 Christian started with an introduction to ABAP in Eclipse tools, as some of the participants do not use it daily. 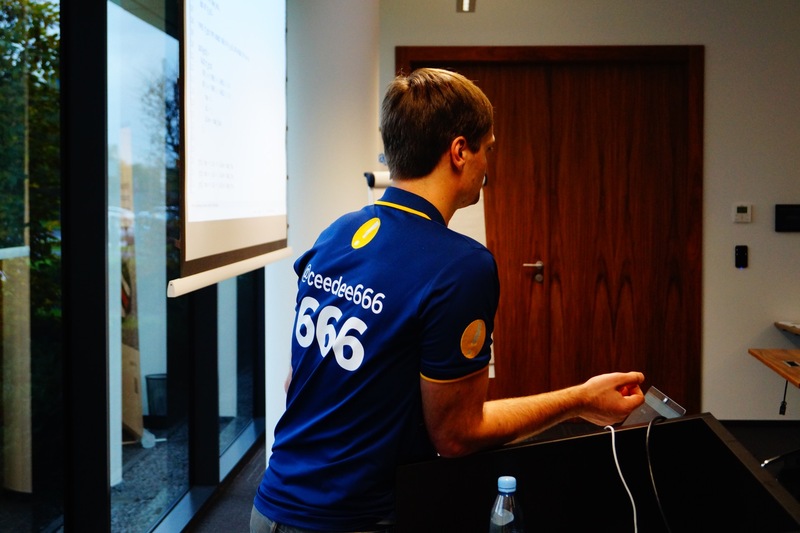 Along with AIE introduction he gave us information about Test Driven Development and ABAP Unit Test in ABAP. 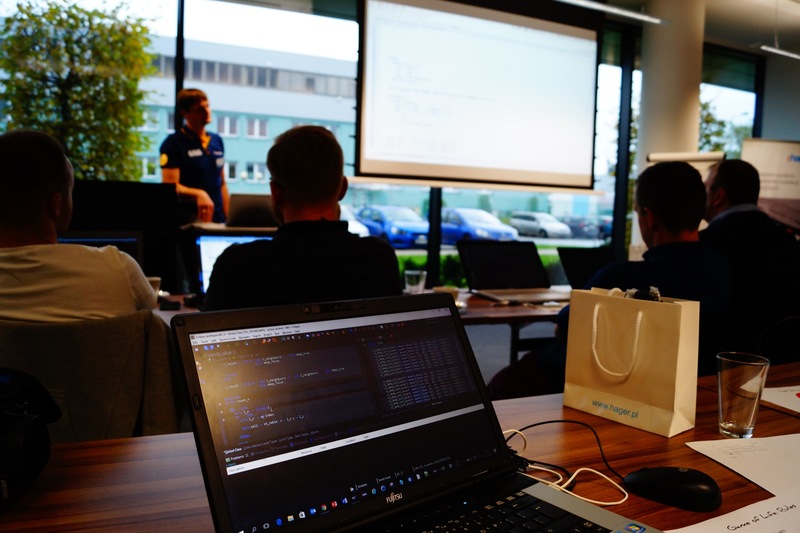 To be honest , although I’ve read a lot about it, I never used TDD & Unit Tests at my work, so as any other participant I was listening to Christian carefully. Once Christian finished the first introduction we’ve started with the first iteration of the ACR. As on many other ACRs we were trying to build the solution for Game Of Life, but using TDD developments. We were “forced” to use pair programming as well. Each iteration lasted 45 minutes, after the first one was over we started to hear a bells, but not simple bells but it was an intro to the AC/DC song Hells Bells. From this moment I wanted next iterations to finish sooner so I could hear some more nice music as well. 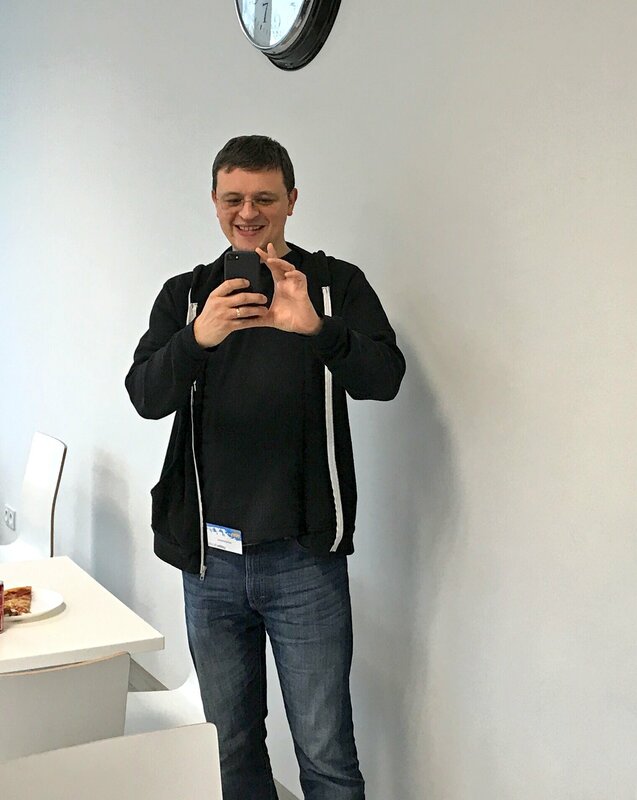 After the first iteration Christian started to be evil, seems his twitter account and SAP Mentor number fits him well… He asked us to remove everything we did so far and to change our partner. Although there were some voices in the rooms asking “Really, we should delete all? Then we will never finish!”, Christian was very strict in this matter, so we had to listen to him. During the second iteration we had more fun than on the first one. It’s because we were already prepared to what should we do, but as our partners changed, then they had different opinion and experience after first iteration. So first of all we had to set in which direction we’re going. Finally there was also a bigger break between our hard work. 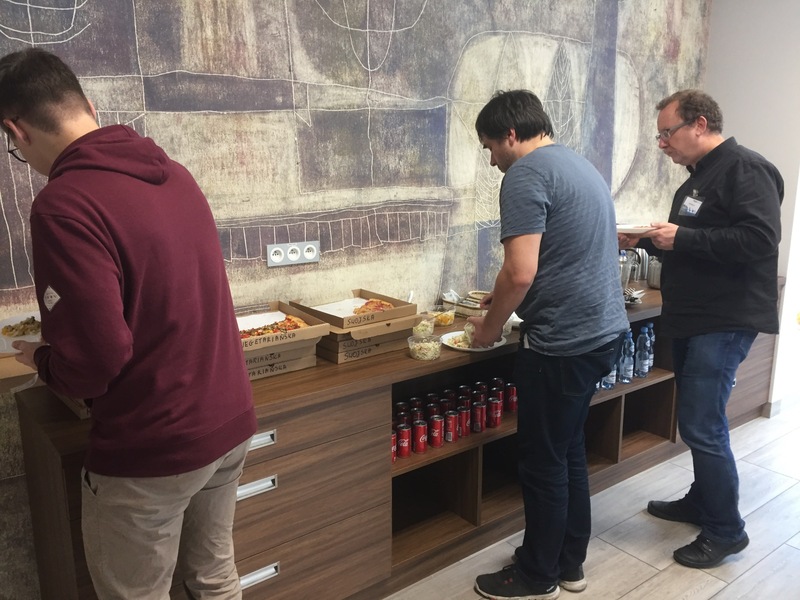 We had a lunch during which we’ve spoken more that we were eating, as networking is the most important thing on the Community events! The smell of pizza made that Witalij appeared very quickly, although he had to travel more than 200 km one way. Also after lunch Christian did the contest in which the prize was one of the three SAP Press books. 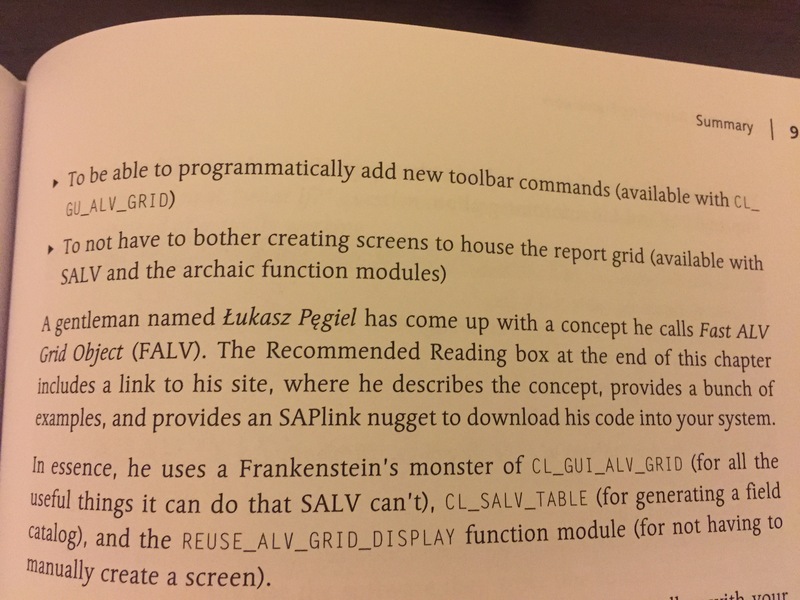 It happened (totally by accident) that I won one of this book (2nd edition of ABAP to the Future by Paul Hardy). 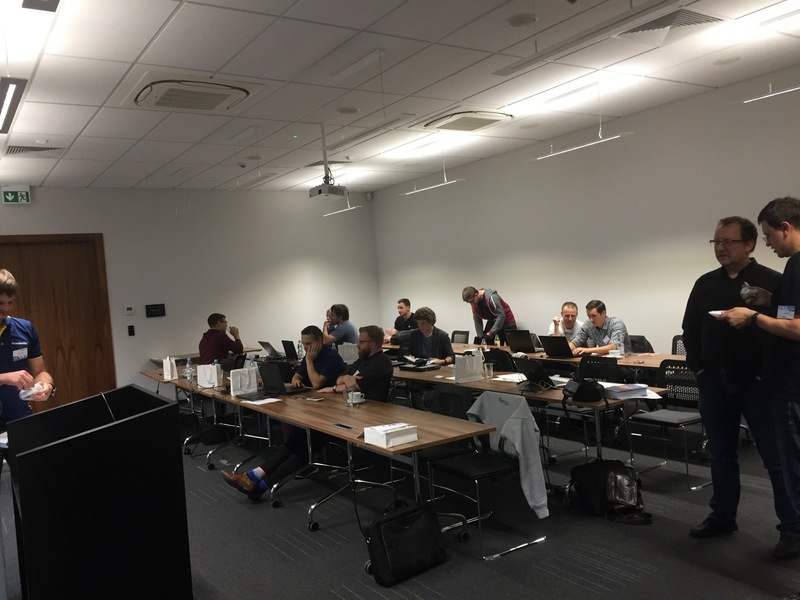 During one of the iterations the task was to create such evil code that will always bring a good result of the tests and then to repair the test to handle the evil code. That was really fun, especially that I had at this time Paweł Grześkowiak as a partner. 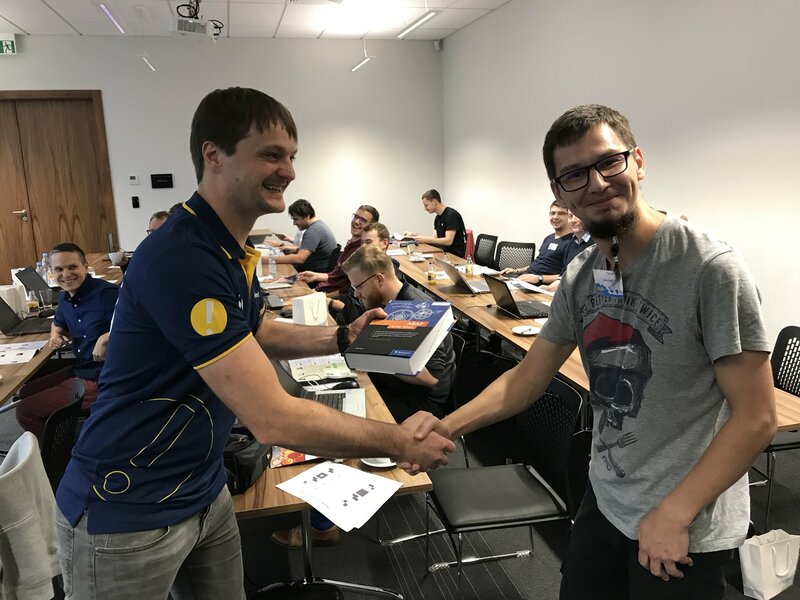 Paweł, who organized last SAP Inside Track in Wrocław, had a brilliant idea for the evil global macro, this way he would not only make the test useless for me, but also for all instance user. We didn’t dare to save the macro as there was a risk to make some harm to the system, which was not welcomed during the event. So I’ve tried it at home, but I failed. The idea was good but didn’t worked. But we tried also second approach, we’ve created implicit enhancement in one of the methods of the cl_abap_assert class, to return always correct result, but this time SAP didn’t allow us to activate the code, as it seems that during the activation the tests are called so we were always receiving an error that there was and mismatch of the loaded program… So at the end we were not able to be evil, so I guess Christian won the competition for the most evil person during the event! 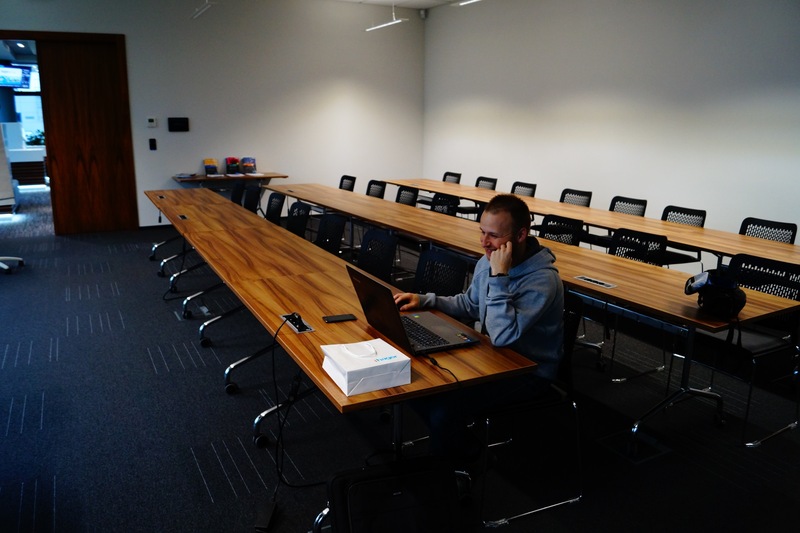 There was one more iteration after the evil programmer one, and although again we heard some bells, seems that no one notices, as 10 minutes after most of participants were still trying to finish their tasks! I also really like the bells which were finishing our iterations, as beside AC/DC I could hear inter alia Iron Maiden – Hallowed Be Thy Name and Metallica – For whom the bell tolls. Unfortunately I don’t remember them all. 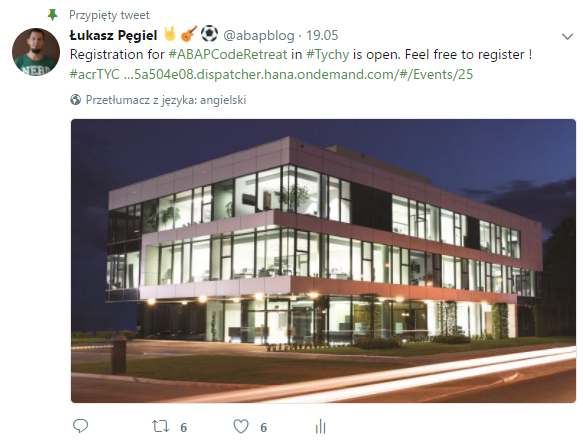 Although ABAP Code Retreat is one of the youngest formats of SAP Community events, I really like it, as It is focused mainly on technical part, so writing ABAP code by yourself, not on listening to what other peers wants to tell. It was a great experience for me and hopefully for all of the participants. I’d really like to thank Christian for running the event!